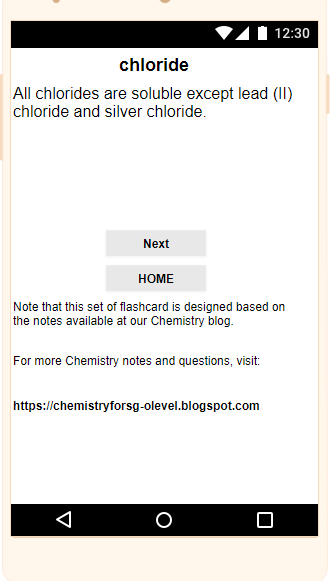 I mentioned in the previous post that I will be creating flashcards which can be downloaded on Google Play. 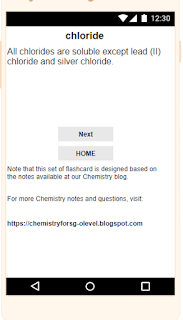 After creating the flashcards for qualitative analysis, the next one I have created is on solubility. This App is available at Google Play. Click here to go to download. If you like the App, please leave a positive comment for it. Knowing whether a salt is soluble or not is important, as it determines the method of preparation for this salt. I talked about the different method of salt preparation in the acids, bases and salts notes which you can find here.